The best laid plans of mice and men, eh? So, there we were working on our new E.P, holding back songs until everything was ready to go … then, out of the blue, former Radio 1 DJ Mike Read does something collossally stupid! In case you’ve not heard, the man who declared Frankie Goes To Hollywood’s “Relax” obscene and refused to play it on air, and whose Oscar Wilde musical closed after ONE performance, has released a calypso song, complete with racist Jamaican accent, in support of bigoted toss-buckets UKIP. Never ones to pass up an opportunity to jump into the fire, we decided to bring forward the release of our own song, complete with contextually justifiable fake foreign accent, that deals with Britain’s favourite pretend everyman and his party of knuckle-dragging brownshirts in the forlorn hope that Mike Read might tell us exactly what satirical point he was trying to make. 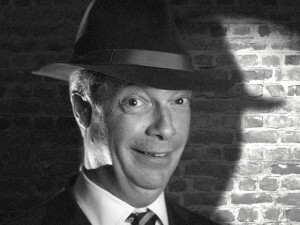 So, while the cack-brained shitwits desperately mash their fists into their keyboards to download a Carribean-flavoured tribute to reactionary xenophobia, why not scroll down and download yourself, for FREE, our satirical jab at Monsieur Farage and Co.’s nomenclature-centred hypocrisy. And don’t forget to go and subscribe to our YouTube channel while you’re at it! UPDATE: You can now download this song on “The Ubiquitous E.P” along with three other fantastic tracks!